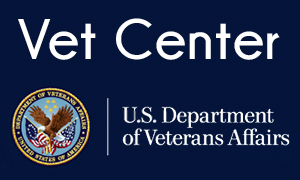 With our expanded facility and renovations, the Center has the ability to have separate spaces for forensic interviews, therapeutic services, medical examinations, staff, and training and has asisted in creating a warmer, more private environment that provides a safe space for children and families to begin their healing and recovery. Rotary unites more than a million people. Together, we see a world where people unite and take action to create lasting change – across the globe, in our communities, and in ourselves. Roice-Hurst is an animal shelter and adoption center that provides loving care for homeless dogs and cats and services to our community aimed at keeping pets in their loving homes. We never euthanize animals because of a lack of space or resources. All healthy, treatable, and adoptable animals are cared for until they are adopted – whether it take weeks, months, or longer. If you would like to schedule a tour of our shelter, please call and speak with any of our friendly staff members today! Operation Interdependence provides military care packages and support to active military members overseas and to veterans at home. Everyone, including our board members and National President, do their jobs out love for the military. Thanks to the past support from our community, the Museums of Western Colorado (MWC) has become the largest multi-disciplinary museum complex between Salt Lake City and Denver. 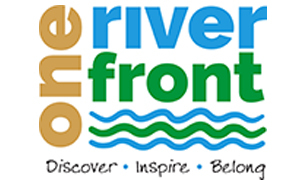 The MWC is one of the most significant cultural institutions on the Western Slope and one of the most popular tourist destinations in Mesa County. Kiwanis is looking out for kids in every corner of the globe with over 600,000 volunteers who serve their communities through local clubs. We are generous with our time. We are creative with our ideas. We are passionate about making a difference. And we have fun along the way. Kids Aid is a non-profit organization dedicated to providing for the needs of children, with a primary focus on supplying food to hungry kids. In collaboration with Mesa County School District 51, our Backpack Program sends food donations home with children who otherwise would go hungry over the weekend. The Grand Junction Lions Carnival has contributed over $7 million back into the Mesa County Community for worthwhile projects. There is no club in the world that has donated more money to its community in such a happy fashion. We have a reputation worldwide and a considerable reputation in this community. Sometimes it isn't all that perfect, but people always give us the benefit of the doubt because of the great good that we do. CASA of Mesa County provides a voice in court for victims of abuse and neglect. 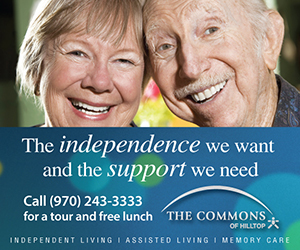 Senior Community Care is a new health care choice for older adults on Colorado's Western Slope. We are a provider of the Program of All-Inclusive Care for the Elderly (PACE) and the first to operate in Western Colorado. MarillacHealth provides primary and preventive health care services for Mesa County's low and middle income, uninsured and underinsured population. Patients receive thorough and cost-effective diagnosis, treatment and follow-up care for a wide range of medical conditions. United Way of Mesa County fights for the Health, Education and Self-Reliance of every person in our community. We believe these are the fundamental building blocks for a good quality of life. 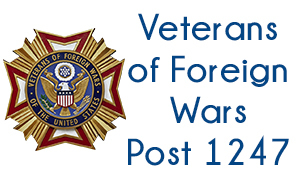 VFW Post 1247 has been located in Grand Junction since 1926 as the Beye-Lotz Post, to honor the men that started our organization. We encourage veterans from all foreign wars, of all ages to gather at Post 1247 and enjoy the friendships and entertainment. At Operation Revamp we believe art heals hidden wounds and our mission is to provide art and related opportunity to aid in healing mental health issues for Veterans, military family members and others suffering from trauma related mental injuries in functional creative art studios; to raise awareness of psychological scarring and benefits of artistic practices in healing; and to provide resources for those suffering from the hidden wounds of trauma in partnership with other agencies and non-profits.